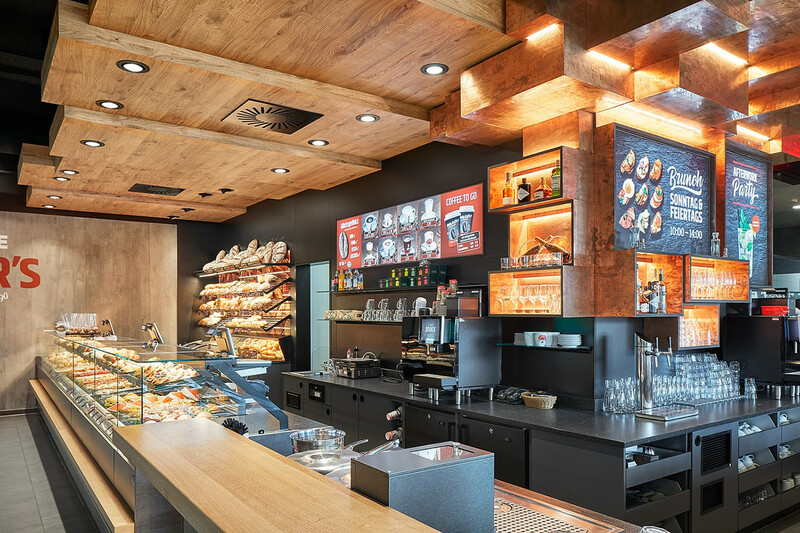 The challenge was to design an interesting shop that attracts customers all day long. 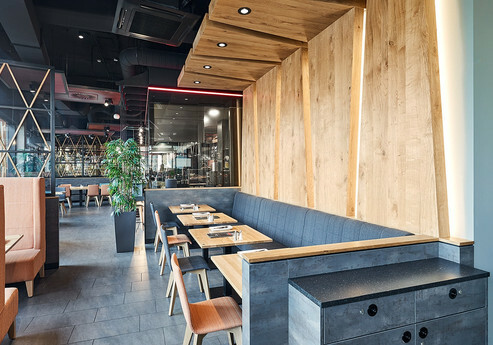 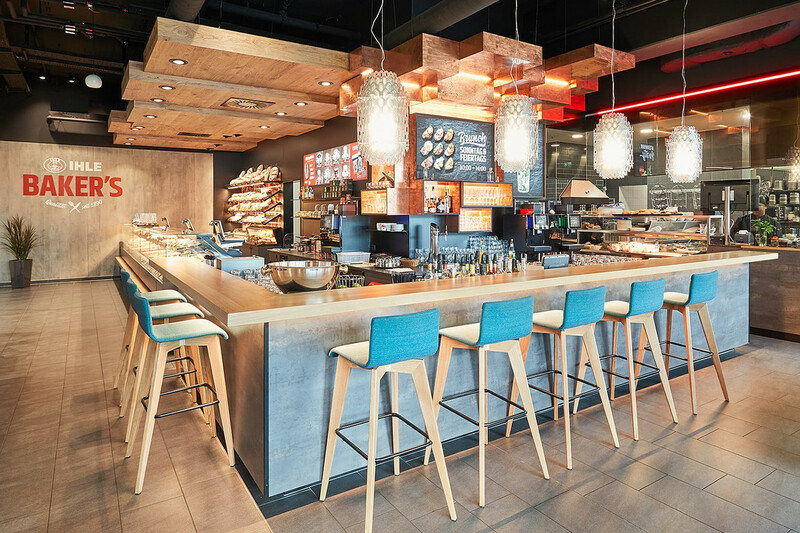 High-quality materials such as black steel, copper, concrete, oak and cork are the defining elements of the shop. 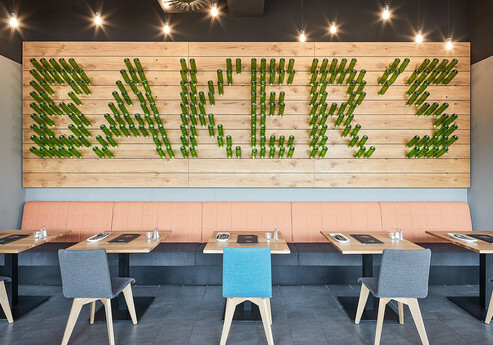 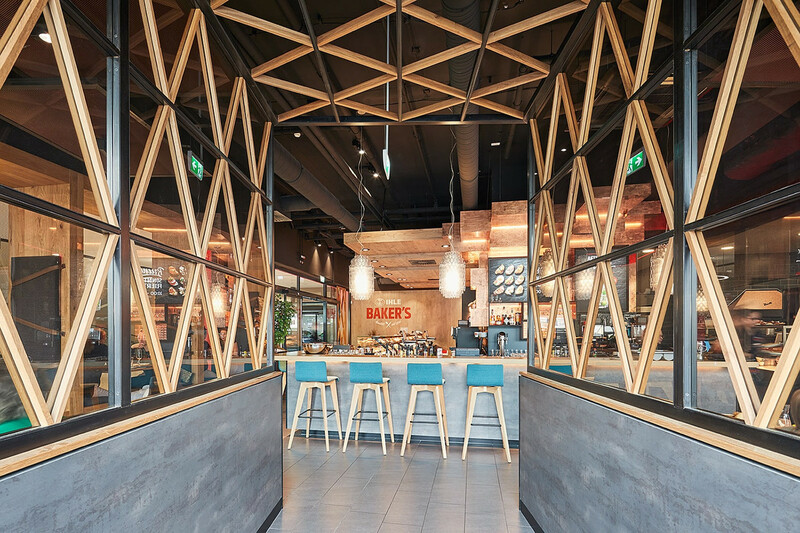 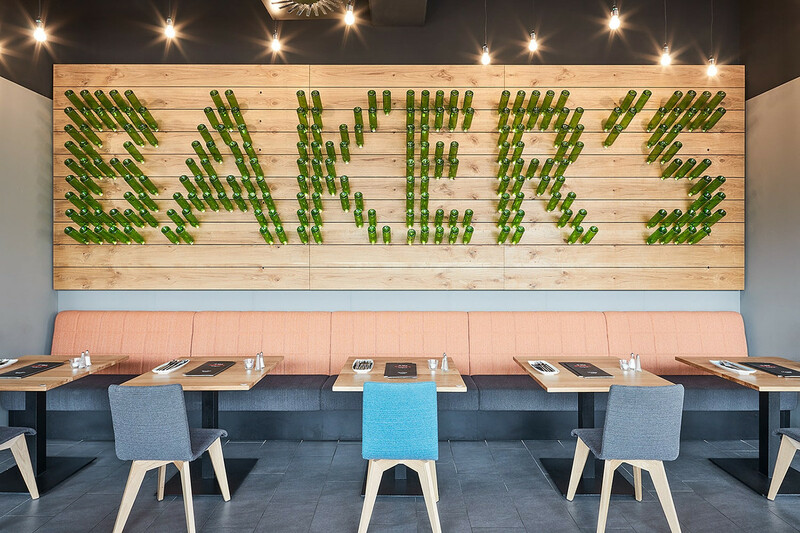 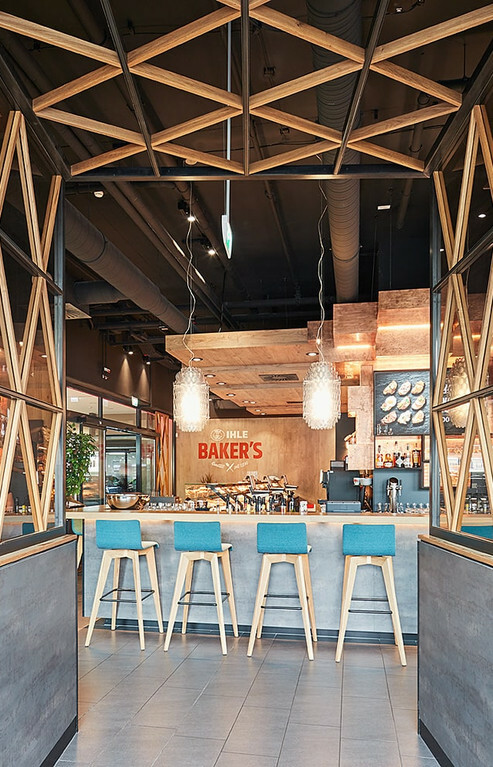 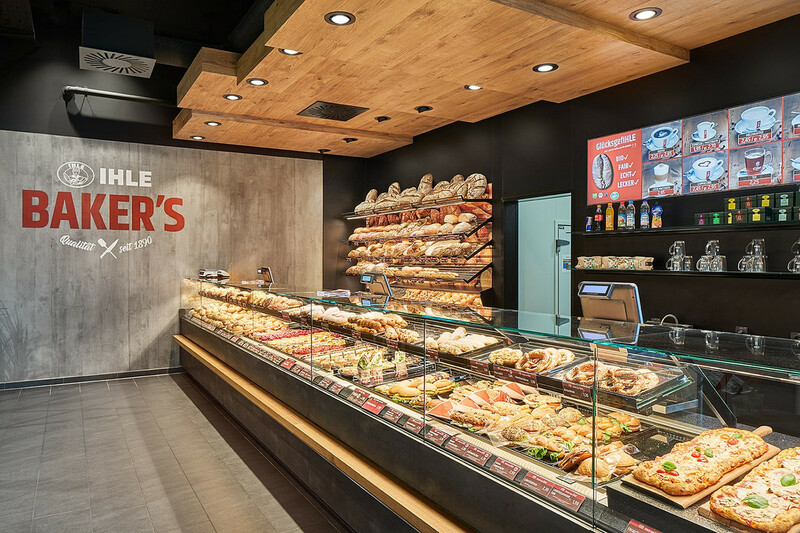 Thanks to the extraordinary and cosy atmosphere, customers of BAKER’S are comfortable no matter what the season or time of day. 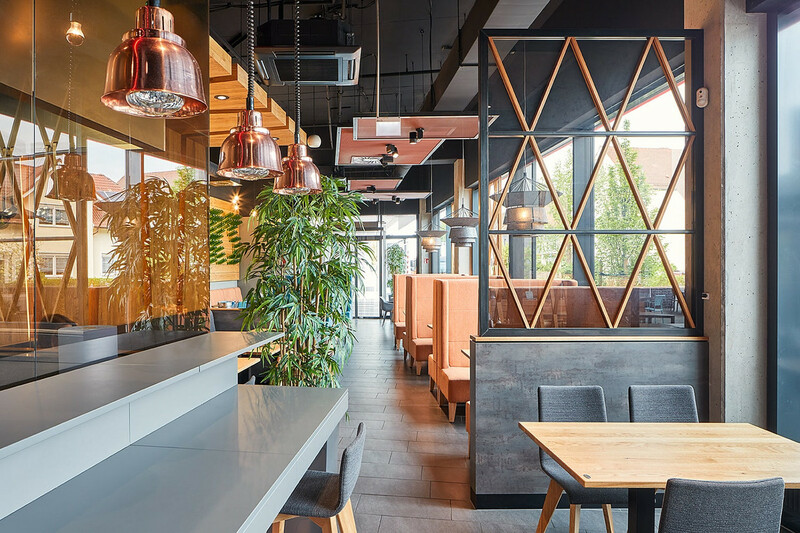 The copper back panel in the bar area is clearly the highlight of the all-day catering concept. 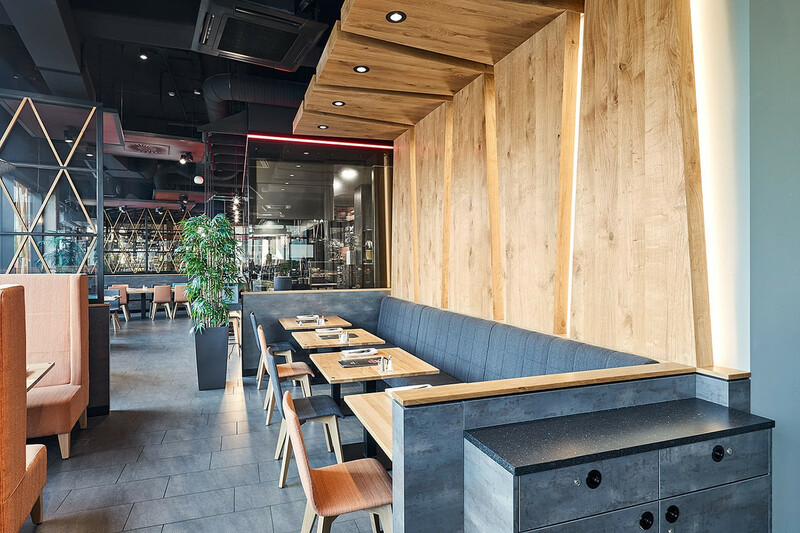 It exudes brilliance and creates a warm ambiance. We rounded the concept off with a few retreats for quiet conversations as well as bar seats where guests can enjoy their after-work cocktail. 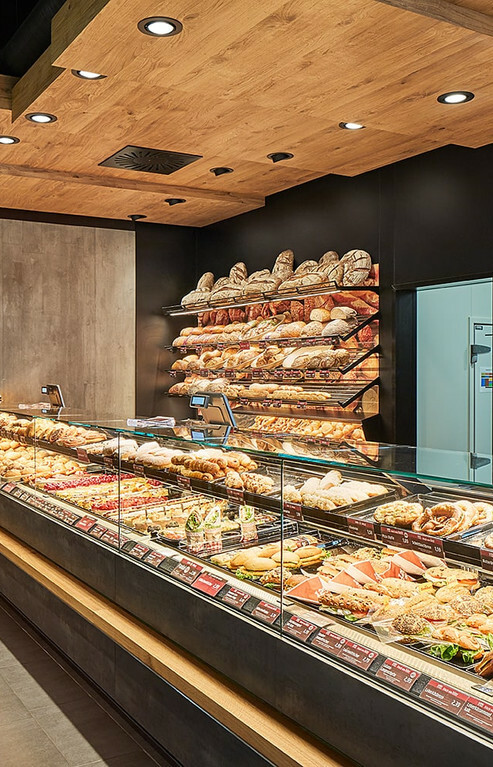 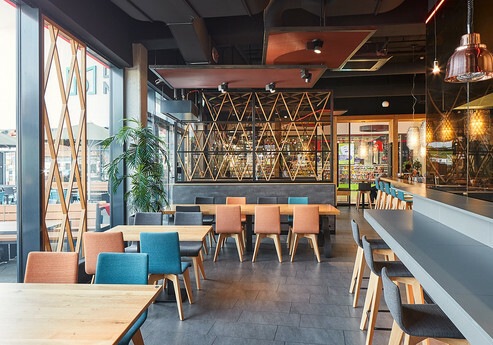 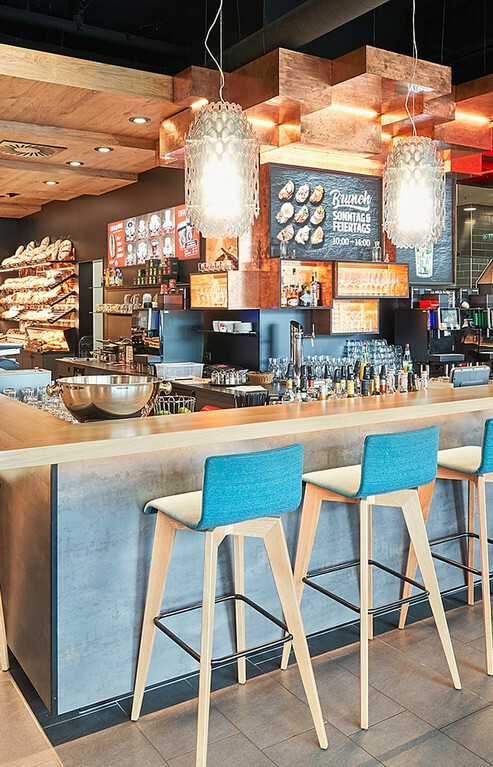 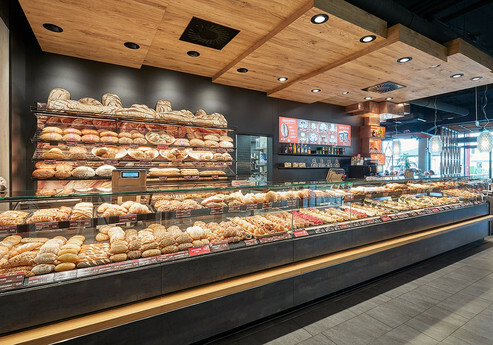 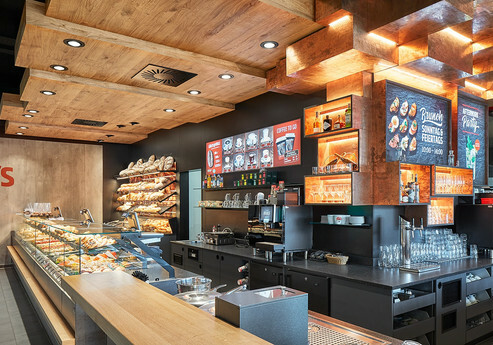 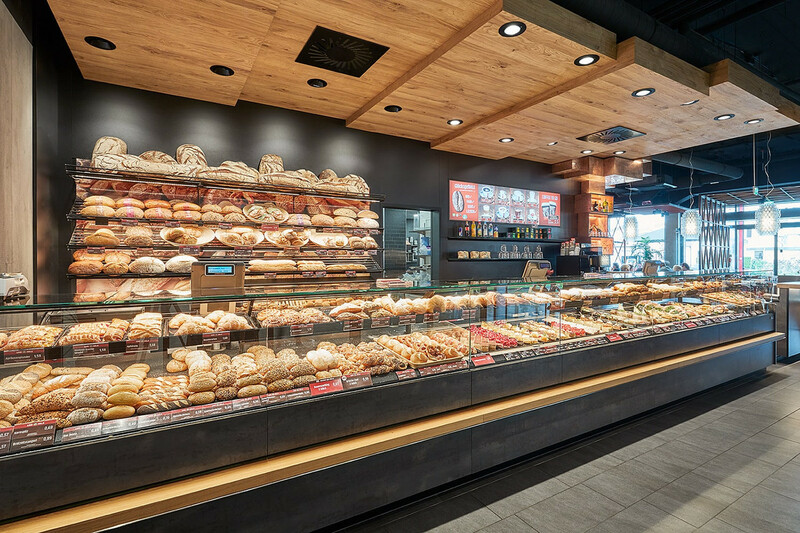 The store lighting is perfectly aligned with the furnishings, enhancing the outstanding ambiance and drawing customers’ attention to the point of sale in all coffee shop areas.